Save by combining your accommodations and airfares. Expedia has some amazing Dhanbad vacation packages that'll save you time and give you more money to spend! Our expansive database features more than 400 partner airlines and 321,000 worldwide properties. With such a wide range to select from, you really can't go wrong! There's no end to the number of wonderful things you can do when you visit a new place. So why not get your trip to Dhanbad off to a cracking start by checking out some of our recommendations? After all – out there starts here! Sourcing all your travel tips online is easy, but don't be surprised if that "secret beach" isn't as idyllic as they say it is. For the leading sights and sounds in Dhanbad, not much beats chatting to the locals. 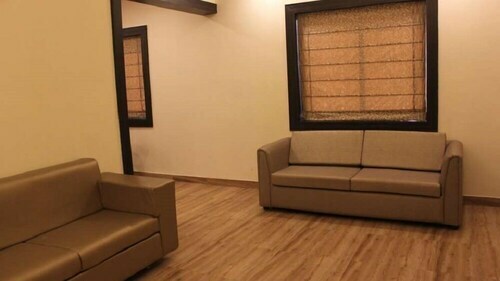 Working out the logistics of your trip to Dhanbad? Wondering where you'll be landing? Dhanbad Airport (DBD) is your closest option. Once you've unbuckled your seatbelt and walked out of the gate, you'll be 2 miles (3 km) from the downtown area. 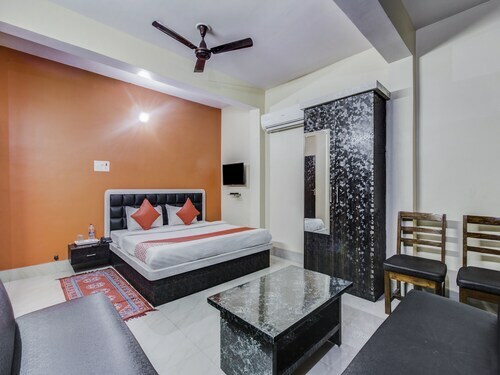 Situated in Dhanbad, this hotel is 1.1 mi (1.7 km) from Shakti Mandir. 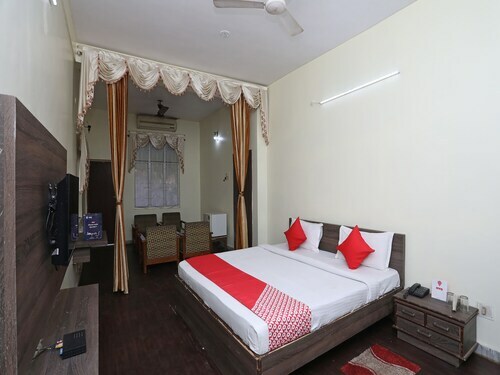 Situated in Dhanbad, this hotel is 9.3 mi (14.9 km) from Shakti Mandir and 19.9 mi (32 km) from Maithon Dam. 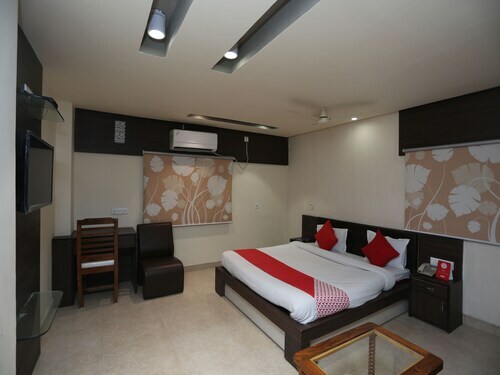 Situated in Dhanbad, this resort is 10.9 mi (17.5 km) from Shakti Mandir. 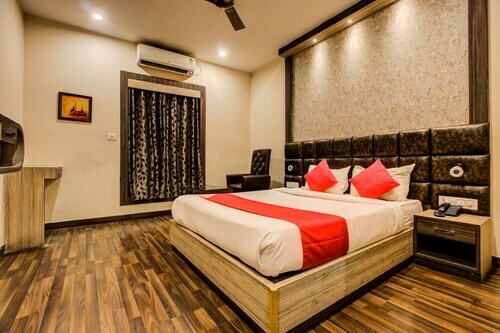 Situated in Dhanbad, this hotel is 5.9 mi (9.5 km) from Shakti Mandir. Situated in Dhanbad, this hotel is 2.4 mi (3.9 km) from Shakti Mandir and 28.2 mi (45.4 km) from Maithon Dam. 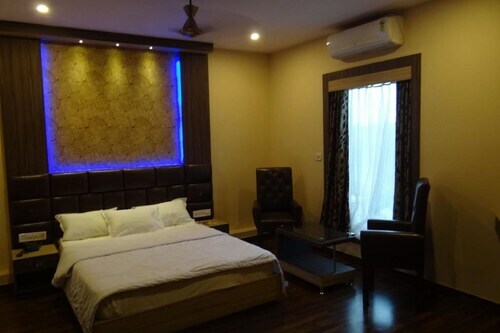 Situated in Dhanbad, this hotel is 0.9 mi (1.5 km) from Shakti Mandir and 29.4 mi (47.4 km) from Maithon Dam. 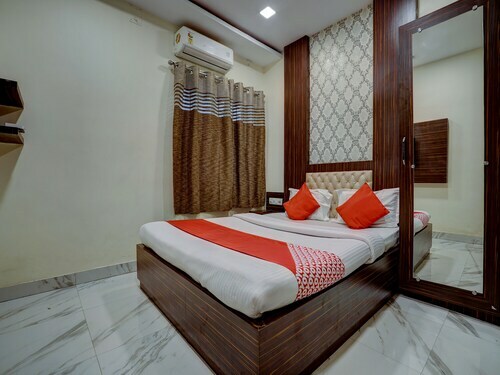 Situated in Dhanbad, this hotel is 7.7 mi (12.4 km) from Shakti Mandir.